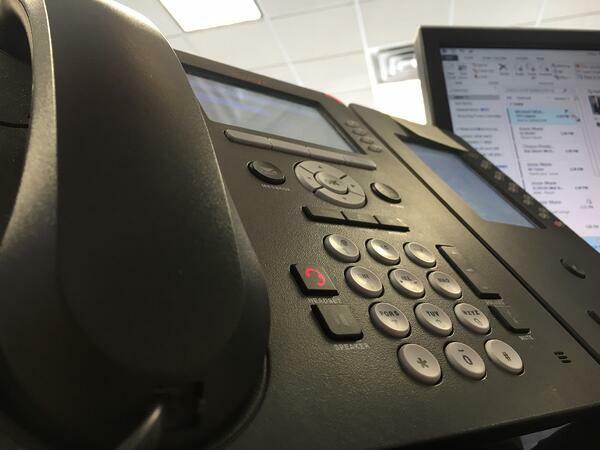 Does your company rely heavily on a phone system to keep operations running smoothly? You’re not alone. The problem is, many businesses only utilize traditional communication methods of landline conversations and email. But if your employees are only accessible from their office desk or non-real-time communication methods, you are likely missing out on a lot of business! If calls are apart of your daily routine, your business can benefit from a cohesive unified communications system (UC). What do you imagine when you think of “unifying” your businesses’ communication channels? Unified communications is a concept of integrating all the ways your company communicates, together— whether that be through instant messaging/chat, voice over phone, video conferencing or through non-real-time methods like email, texting, etc. How does it work? UC allows your employee to send a message from one medium, all while having that same communication translate across another medium. For example, a business with a voice over IP (VoIP) setup can channel their office phone line to any device. On the go, an employee can use their personal cell phone to make a company call, but have it look like it came from your office number. Or, it might allow for a voicemail left on an office phone to be transcribed and emailed as text message to an employee who is out of office. As you can see, UC is not necessarily about channeling all these methods to one single product, but instead about providing a consistent interface and experience across all devices and media types. Perhaps one of the biggest benefits to adopting a unified communications system is all the time your company can save. Many customers expect quick responses, and making someone wait a full 24 hours to return a call or wait for a reply can mean loss of business. Not only does UC allow your employees to receive these messages away from their desk, but the integration gives them flexibility in both how the message is delivered as well as how they respond. Your employee can choose to have an alert sent right to their phone as a text message, instead of another email that gets lost in their inbox. Then, they can engage in an immediate response, over text or live chat. Many customers actually prefer instant chat to a phone call, saving both parties time. According to Inc. Magazine, over half of consumers expect a business to be available all day, every day. Many unified communications systems store recordings or threads from conversations within the cloud for later access. Employees can download an app, which maintains a record of all communication records. This way, every interaction can be monitored and tracked to assess productivity— a feature unmatched by traditional phone system. This technology is not limited to your cell phone. Any desktop or laptop can become an office phone with our simple-to-use application. Not only will managers have access to review logged calls, such as documentation of each employee’s call times and their duration, but the application will also document when a follow-up message is sent to the customer. Monitoring these points of contact allows both managers and employees to track what communication forms worked well and where improvements can be made. You can rest assured knowing businesses’ contacts are stored safely and separately from employee’s personal information. Most VoIP systems utilize an application, like we mentioned, which ensures company information remains in one place and does not allow access to any private content on that device. Access Cloud Communication Solutions (ACCS) is our phone system here at Access Systems, helping to unify your businesses’ communication channels. ACCS utilizes cloud technology to allow for powerful connections between all of your employee’s work devices, as well as their personal ones. Think of ACCS as your unified communications call manager. Explore these seven cloud communication features that can boost your productivity to discover more ways a VoIP solution can help your business. Interested in learning more about how ACCS can unify your business’ phone system? Contact us today by filling out this form or give us a call at (888) 464-8770.